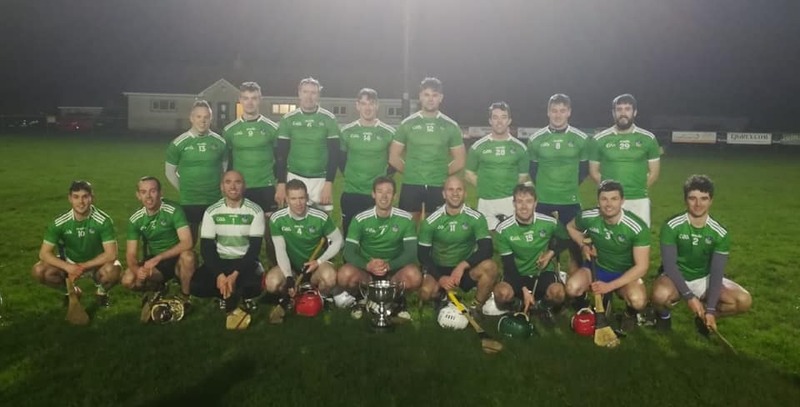 TWO late goals from Adare's Willie Griffin helped Limerick Teachers to the Munster Inter-Firm Senior Hurling title on Thursday night. The Limerick Teachers were 3-12 to 1-15 winners over Suir Engineering (Waterford) 1-15 in Moyne-Templetuohy GAA grounds. Limerick Teachers staged a great comeback in the closing stages to overcome a four point deficit with two minutes remaining to clinch a three point victory. Suir looked to be on their way to the title on 57 minutes when they went four points clear. The Limerick Teachers needed a goal and were given the chance on 58 minutes when they were awarded a penalty after a foul on Griffin and the corner forward fired the penalty low to the back of the Suir net. When the Adare man added a free the game looked set for extra time. That was until deep injury time, Griffin punished a defensive error to grab the title winning goal. The Waterford side were 1-9 to 0-6 ahead at half time. They were five points up before Limerick Teachers found their form. Scores from Brian Finn, Eoin Walsh and David McCarthy settled the Limerick side before half time. But just before the interval, John Walsh had a Suir Engineering goal for a six point lead for the Waterford based side. The lead was out to seven points during the second half but points from Conor Sheahan and Griffin ensured the Limerick men remained in touch until the late scoring savo. The Waterford side had Limerick men in their panel - Andrew Brennan (Caherline), Martin Farrell (Blackrock) and Dean Power (Caherline). SCORERS: Limerick Teachers: Willie Griffin 2-8, Brian Finn 1-1, David McCarthy, Conor Sheahan, Eoin Walsh 0-1 each. Suir Engineering: Conor Tobin 0-8, Dylan Ehan 0-3, John Walsh 1-0, Joe McLoughney, Cormac Fleming, Aaron Dunne and Charles Dwyer 0-1 each. LIMERICK TEACHERS: PJ Hall (Adare); Michael Reidy (Dromin-Athlacca), Paul Flanagan (Ballyea, Co Clare), Shane O'Neill (South Liberties); Gearoid Power (Garryspillane), Pat Kelly (Clarecastle, Co Clare), Stephen Walsh (Glenroe); Brian Finn (Bruff), David McCarthy (Glenroe); Conor Sheahan (Ballygunner, Co Waterford), Cormac O'Donovan (Clonlara, Co Clare), Mark O'Connell (Glenroe); Willie Griffin (Adare), Jack Quaid (Effin), Eoin Walsh (Glenroe). Subs: Cathal King (Na Piarsaigh) and Pat Gleeson (Na Piarsaigh). SUIR ENGINEERING: Ronan Ryan (Piltown); Niall Doherty (Galmoy), Pat Hartley (Tullogher), Eoin O’Connell (Killenaule); John Cashin (Drumcullen), Paul Hennebry (Mooncoin), Gavin O'Halloran (Carrick Swans); Joe McLoughney (Toomevara), Cormac Fleming (Mooncoin); John Walsh (Mullinavat), Dylan Egan (Geraldines O'Hanrahans), Conor Tobin (Johnstown); David O'Brien (Mooncoin), Andrew Brennan (Caherline), Aaron Dunne (Carrick Swans). Subs: Charles Dwyer (Ballinakill), Shane Taylor (Broadford), Martin Farrell (Blackrock), Dean Power (Caherline), Donnacha Gray (Galmoy).